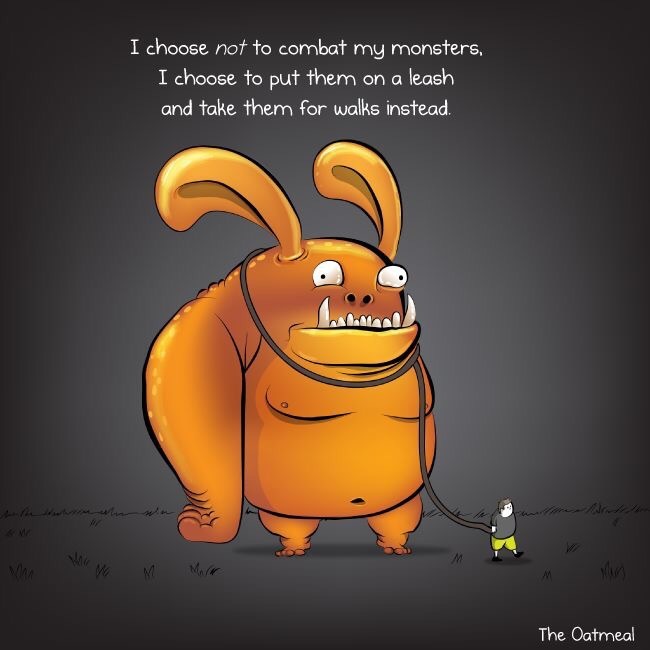 I love this and whatever we call our monsters – demons, shadows, wounds, challenges, shadows, obstacles etc – I think it’s the right approach. Not sure about the leash though. Idk … it can be interpreted a few ways. Have any of you head “Arsonist’s Lullaby” by Hozier? Take a listen and when he talks about Demons, this is a perfect fit. I don’t call mine Demons, I call mine lessons.